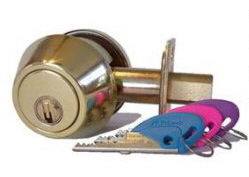 Kadalock is a new take on the bicycle lock that has merits. Simply install beneath your existing drink bottle rack and you are ready to go. Using a strong tensile cable and waterproof padlock body, this intelligent lock for your bicycle is novel, unique and nouveau. In low energy mode, which puts the padlock to sleep to maintain battery life, you simply activate the lock by physical touch. 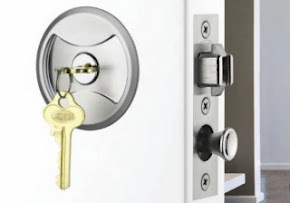 When the unit powers on, your Bluetooth enabled smartphone provides the required identification for the padlock to unlock. 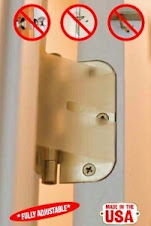 Simple, keyless security that looks good. Other features include, notifications for attempted theft, low battery warning etc. 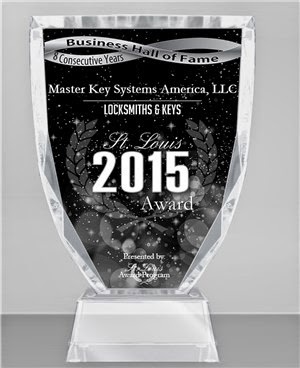 ST. LOUIS March 4, 2015 -- Master Key Systems America, LLC has been selected for the 2015 St. Louis Award in the Locksmiths & Keys category by the St. Louis Award Program.